Based in Derbyshire but available throughout England, We Have You Covered will provide the perfect soundtrack to any wedding or celebration. 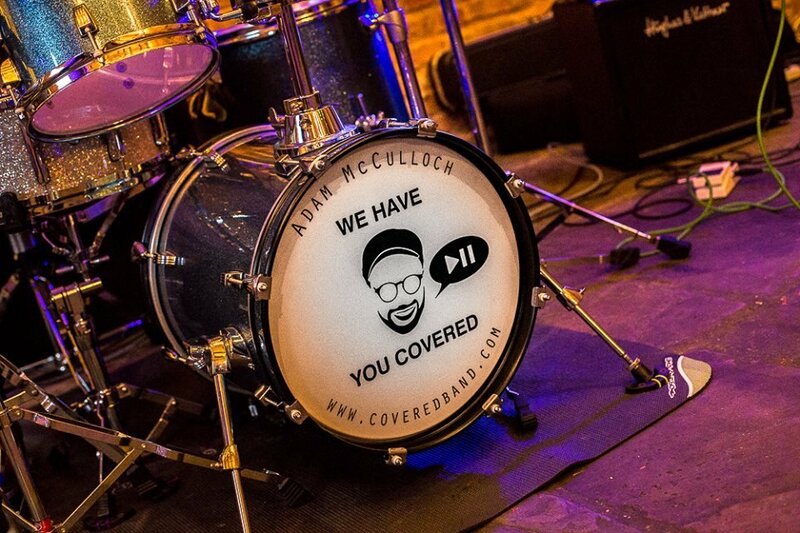 We Have You Covered are a fantastic wedding band that will give the best live experience possible - whether it be an acoustic accompaniment during a drinks reception, a vibrant show during dinner, or as the perfect way to celebrate the evening at any wedding reception. The band can cater for all tastes and genres; music is about having fun and enjoying yourself and the band guarantee this with their shows. Please note that this is just a sample of We Have You Covered's set and is by no means a comprehensive list. Number of Reviews and Counting... 80! We Have You Covered thrive on individual requests, of working on up to date, mainstream pop and rock songs as well as classics. Presentation, slick sound, attention to detail, warm engagement with customers and clients, constant evolution of set lists, musicians of versatility - all things that We Have You Covered pride themselves on. 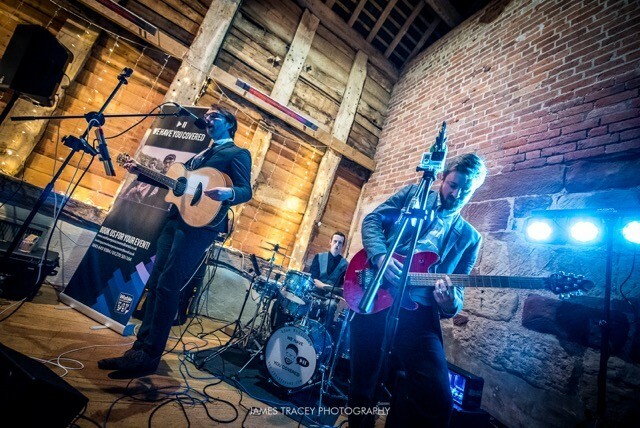 The band provide a versatile set-up: from individual acoustic performances to a full band. With a cherry-picked a selection of incredible musicians, from a seasoned session guitarist to drum maestro and a host of others the band offers a wide selection of songs. 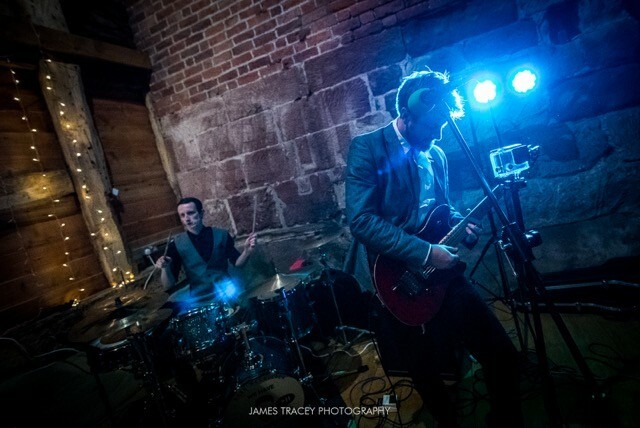 As well as a number of different entertainment options, We Have You Covered give you the full experience of a live cover band without the hassle of bulky equipment and overpowering sound. The typical line-up is electric and acoustic guitars, full, live drums and of course lots of lovely vocals. They can cater for a variety of events from acoustic garden parties using smaller percussion to a larger band line-up with female vocals and saxophone. 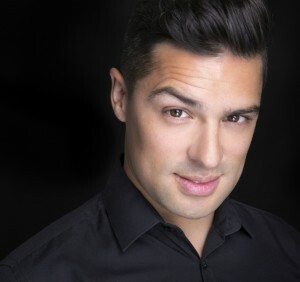 Adam Solo - Solo performer, available with or without backing tracks. Vocals and Acoustic Guitar / Piano. Ideal for all events, from upbeat party to subtle background / entrance music. 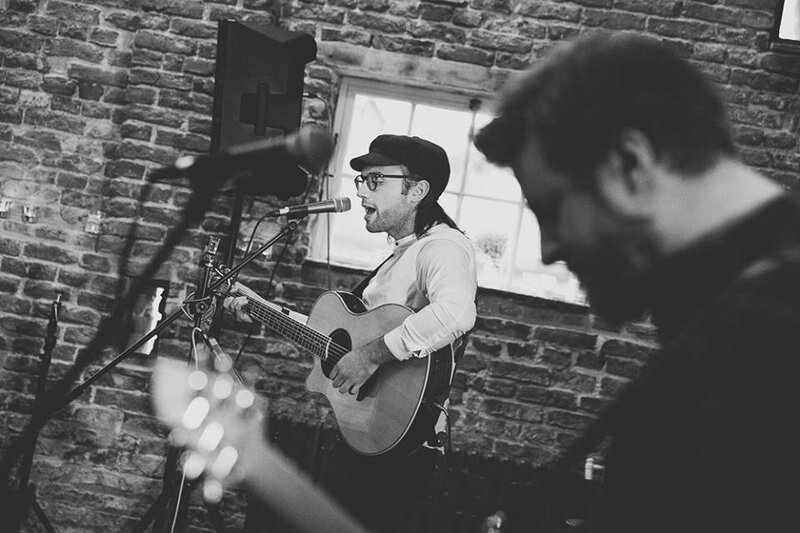 Acoustic Duo - Including, Adam accompanied by either a Second Guitarist or Female Vocalist. Ideal for those on a budget. We Have You Covered - Standard band option. Three-piece including Vocals, Guitar / Piano, Lead Guitar and Drums / Percussion. 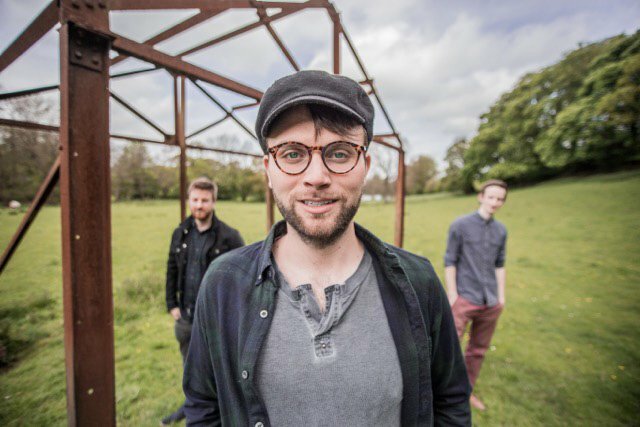 The full band sound from three versatile musicians. Also available as four piece with Bass / Female vocalist. Additional musicians are available upon request - just ask for more details when booking. The band were brilliant and had something for everyone. We had so many compliments about them. Just fantastic - it made our wedding and the dance floor was always full. The band actually learned how to play a special request song specially for us - how amazing are they!!! 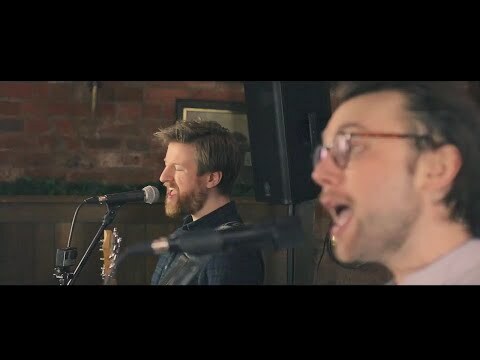 We were anxious about booking a band for our wedding, not being able to see them before, but booking through Warble with the videos available made it easy. Adam was brilliant in the run up to the wedding, talking through the process and what to expect on the day and any requirements we had. On the night, We have You Covered were amazing! We were running a little bit behind schedule but they came on time, set up in such a short time and managed to put us back on track for our first dance! The venue staff were very impressed! The band were lovely and really made the night! Everyone commented how great they were and how awesome it was that they could take requests on the night - whether that was during the DJ parts or live performances. 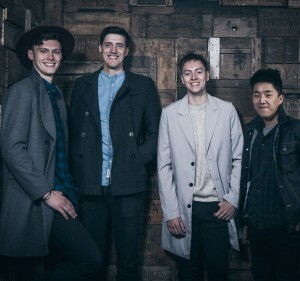 The range and variety of songs the guys can play is wide, covering oldies, indie and 90s pop! Would highly recommend We Have You Covered, they were amazing and will make any party! Thank you so much! Amazing - made the night and such lovely blokes - Adam was so lovely before the wedding with his communication - would highly recommend, they were amazing. 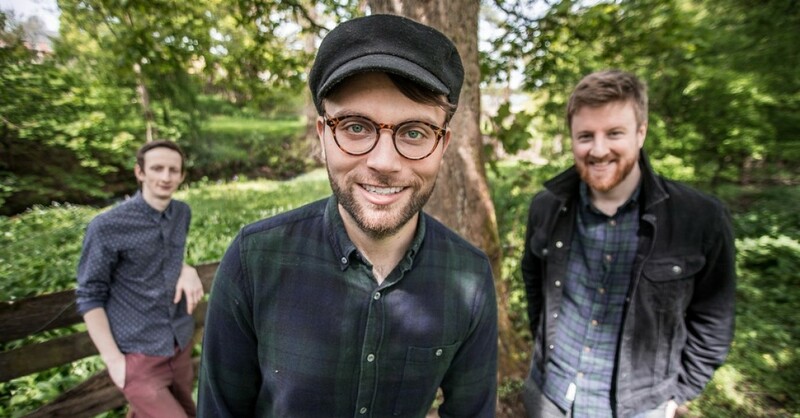 We can’t recommend Adam and the band enough - if I could give them 10/5 I would! All of our guests commented on the night, and still talk about it now, just how good they were. They worked tirelessly and were so responsive to the audience’s requests - whether it was a song for the DJ section or a live performance! The range the band can play is exceptional and they covered a wide range of all of our favourites. I’m trying to think of the next occasion we can have a party, just so we can have them back! 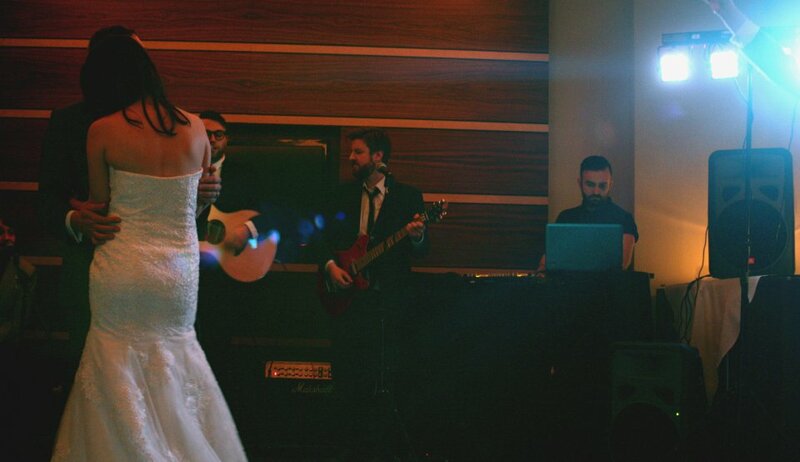 They truly made our reception amazing, the dance floor was never empty and the band were truly amazing. No request was too much, they even improvised a few songs for us when they didn't know them. I honestly cannot recommend this band enough. We found it really difficult to pick a band as you can't see them before hand, but booking We Have You Covered was one of the best decisions that we made. Adam was brilliant in pre-wedding communication and really put us at ease and on the day they were so approachable and easy going. Thank you so much for everything, you truly are superstars. Absolutely fantastic band and group of guys. Nothing was too much trouble, making our wedding very special. They took requests all night and did an amazing job - Don't hesitate to book We Have You Covered - they are brilliant! Thanks Guys - Tim & Louise. Really good band. Lovely guys, pleased they were able to play our wedding song. Everyone said how much they enjoyed the band and it got everyone dancing. WOW! What can I say apart from absolute perfection... The booking process was easy. The band are absolutely incredible, friendly and so professional. If you don’t book this band for your event you have missed out. I hope we have an event in the future where we can use the band again! Polite and helpful in every way. Amazing musicians, they made our wedding day very special I would recommend this band in a heartbeat. The booking process was quick and easy with regular updates from.beginning to end. Absolutely fantastic! Your band is brilliant and we loved our first dance and every song you played. So many of our have guests commented on how brilliant you were and what great versions of songs you played for us. Thank you so very much, we would thoroughly recommend you for any future wedding! Maxime & Olie. These guys are fab! Any song is no problem, they are professional but friendly and fun. A* I would definitely recommend. Amazingly talented group of guys in addition to being organized, flexible and willing to take all manor of requests!! We Have You Covered were incredible and we were pleasantly surprised as they were even better in real life than videos we had seen of them online! Adam was so friendly and great to deal with and so accommodating. Me and my wife can not recommend them enough - they were the highlight of our wedding and the main talking point of all our friends and family. So again thank you! 5 stars doesn’t cover how amazing these guys were. They were up tempo, high energy and kept the dance floor full all night long. Not only did they play songs we requested but they played songs our guests requested on the night. Couldn’t speak more highly of them and I would book them again in a heartbeat. They made our wedding absolutely incredible. Thank you!!! We couldn’t have asked for better. The guys were very talented and it was obvious that they had listened to our likes and dislikes before the night. They took requests and were really flexible around food etc. We received lots of compliments for the guys and they were all well deserved. Would highly recommend them. You were all great to deal with from enquiry to performance! Fantastic band. Extremeley helpful and professional. Very easy to deal with / contact and were willing to tailor their set to how we wanted. We even asked about a couple of our musician friends playing with them for a song and they were more than happy to do that. Highly recommended! Absolutely amazing band, really made the night. Super cool talented guys. The band were AMAZING!! We cannot thank the guys enough for really giving us the best party. All the guests were stating how great they were, and how flexible they were. They had a lot of requests on the night and then smashed them out. In the lead up to the day, Adam was easy to contact and was so friendly. I informed our venue that they should recommend the band to couples getting married there as they were that good. Thanks again for making us have the best night. Wow... What a band! Great guys, even though Adam is an Evertonian! They could not do enough to make the occasion perfect including impromptu requests, people joining in and generally keeping the dance floor full... Wow! The band were AMAZING - Adam got in touch before the wedding and we bounced emails back and forth due to my eclectic music tastes. On the night, the band played our first dance and then kept everyone up and dancing. I've had so many comments from friends and family about how wonderful they though the band was! 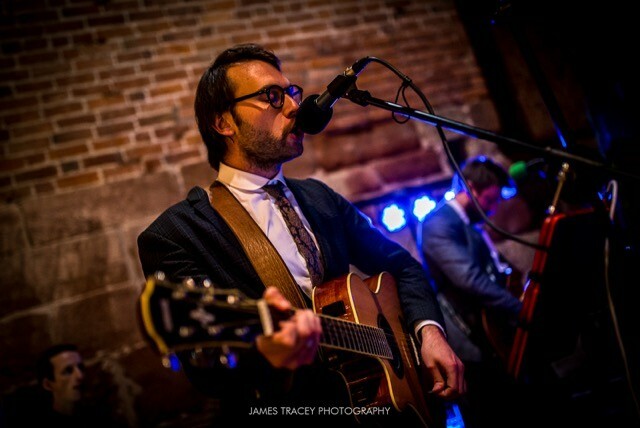 I wouldn't hesitate and would actively recommend booking these guys for your wedding - they will not disappoint! The band were absolutely superb, the quality of the music was outstanding and they were happy to adjust their sets according to the style of music that we like. We were also shocked to see just how well they performed some requests, some of which they hadn't had a lot of experience of playing! Three great lads who made sure that the evening part of our day was really memorable and a great laugh. Would recommend to anyone looking for a band for their wedding! 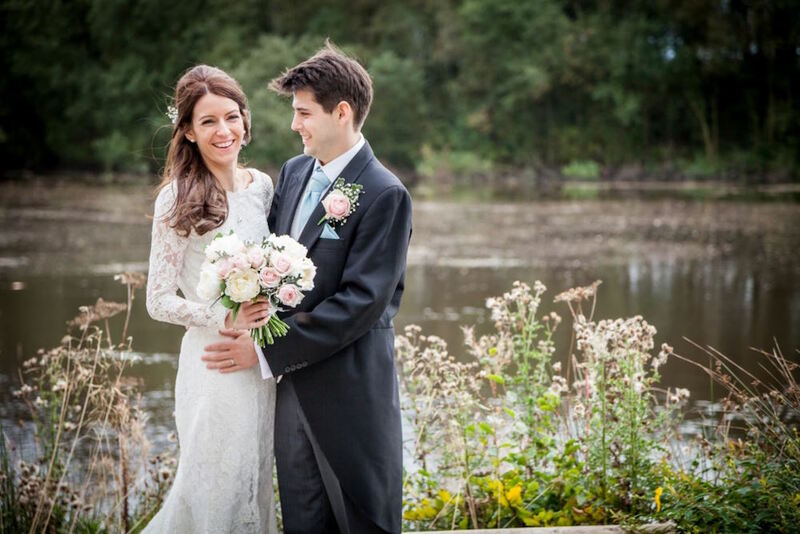 We were so delighted with 'We Have You Covered' - their email contact was polite, thorough and really helpful during the lead up to our wedding day. On the day, as soon as they arrived they were extremely friendly and got on with getting set up in good time. The band created a phenomenally good sound to say there were only 3 of them. They kept our dance floor lively and full all night by playing a great variety of tracks as well as taking requests. This was the same during their DJ sets. We were slightly surprised that they performed a version of our first dance song too, leaving us with hilariously confused faces for a moment or two and making for some embarrassing but funny photographs! We were also very impressed by the contact and information provided very regularly by the Warble Entertainment team. An all-round great experience and a happy bride and groom! Thank you! We Have You Covered were perfect for our wedding... Great fun and great selection of songs! Thank you guys! Adam and the band were fantastic. They accommodated all of our requests and added a great personalised version of our first dance, a special moment. Friendly, understanding, talented and generally nice people! Absolutely fantastic band for our wedding! They learnt our first dance song by The Vaccines and performed it amazingly well! The dance floor was full all night, even when they DJ'd in between and there wasn't a cheesy wedding song played at all (wahoo). The band took loads of requests from all my friends and at one point I turned round and a pit had formed and AC/DC was being played! The band played a massive variety of music, but more importantly, they were really good - as loads of people have been telling me since, we couldn't have been happier! Absolutely brilliant, so off the cuff and made Outkast "The Way You Move" work so well for our first dance. It was amazing, thanks guys. 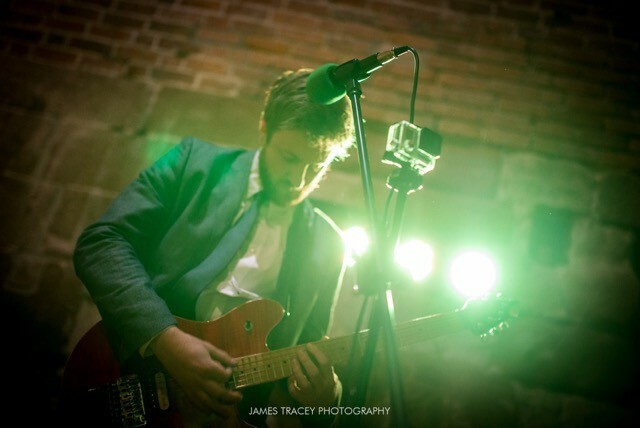 Adam and the band were fantastic - he called us a few weeks before and was really professional and put our minds at ease. Adam really provided confidence that they really did 'Have You Covered'! They also tailored their set list to us and all our guests had a brilliant night - thank you! Great band who made the evening the best! Took requests and kept everyone partying on the dance floor! Lovely guys and really fantastic music. Cannot recommend them highly enough. Thank you! We had We Have You Covered for our band at our wedding and they were honestly AMAZING!!! You need to book these guys!! We had all ranges of ages from 11-82 and the music was outstanding as was the performance. They learned our first dance song and other requests ( which was not on their repertoire). They were totally professional, yet welcoming to requests and made everyone enjoy the night. All our guests could not stop complimenting the guys all night and weeks after the wedding. I would totally recommend them to anyone for any occasion - I want to get married again just to have them play!! In the running up to the wedding, they were constantly in contact, reassuring us and asking if we required any special songs, which they learned at the very last minute for me and my dad to dance to. They are an absolute joy to listen to and watch - Do not hesitate to book this awesome band!! Many thanks, Mr and Mrs Walsh. We Have You Covered were brilliant from the first email. They answered all our questions and completely put our minds at ease about the running of the day. They allowed us the freedom to put our own set list together using their recommendations as a starting point. On the day, they arrived on time and took the time to come and speak to myself and my husband before setting up, to congratulate us and have a little chat about the type of music we like. 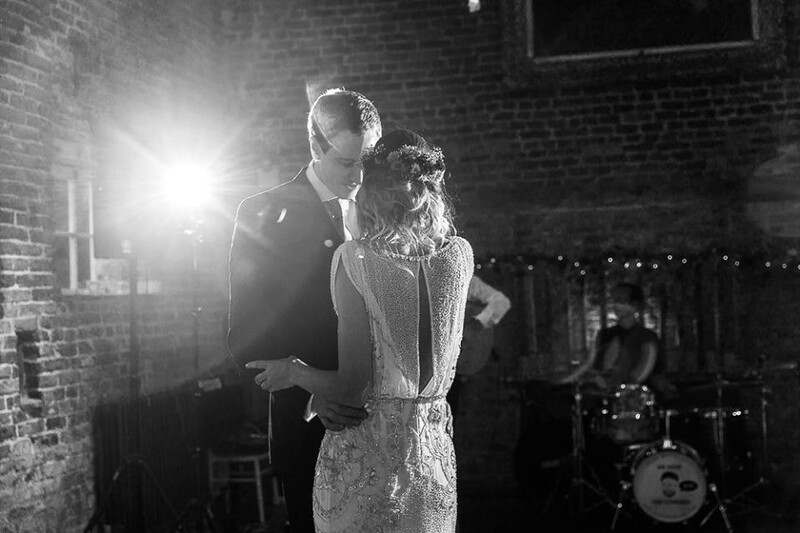 They were amazing playing our first dance, putting us totally at ease and allowing us to enjoy our dance. They played amazingly, and were a massive hit with all of our guests, our friends who are getting married next year even requested their details. They were even accommodating and flexible with the set list on the evening, taking requests from our friends following calls of "no Oasis". I would thoroughly recommend We Have You Covered, they were absolutely brilliant, and we would like to thank them greatly for making our evening so incredible and memorable. The band were great and everyone at the event loved dancing to their music. Very easy going and flexible, I would highly recommend them! We Have You Covered were everything we could have asked for and more. Great correspondence in the lead up to our wedding, nothing seemed too much trouble for them, even when someone requested Shania Twain on the night, they had us covered ;) !! Can't thank them enough for getting everybody on their feet and ensuring everyone had such an amazing night. Thank you so much. Clare and Matt. Lovely guys and really made the wedding night lots of fun. Thanks very much. We Have You Covered were amazing and made the evening of our wedding absolutely brilliant. We'd made a lot of requests and suggestions which they covered but they also spent much of the night taking requests. They seemed to be able to play anything and they got everyone from our friends to grandparents on the dance floor. Our guests spent much of the night asking where we found the band and complimenting how great they were. They were fantastic. 10 out of 10! Couldn't be happier with the service provided by We Have You Covered. 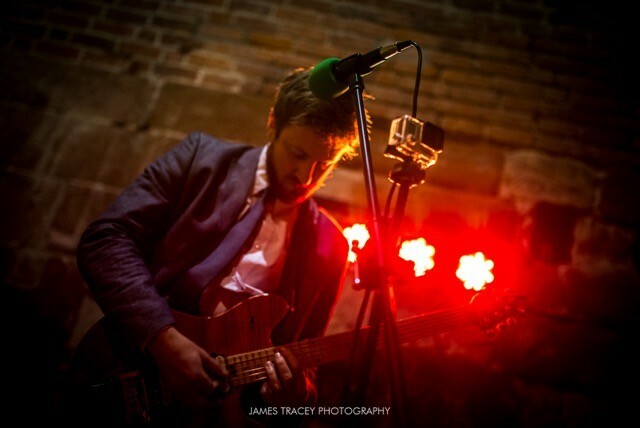 Had a chat with Adam a couple of weeks before the wedding which, for people who'd not booked a band before, was excellent for putting our minds at ease. The band were happy to learn our first dance, and were enthusiastic and creative in coming up with a fun arrangement for this. On the day, the band were courteous and professional throughout the night. They were happy to take requests from our guests and were even able to improvise impromptu versions of some of the few songs not in their repertoire. Between sets, Adam provided a full DJ service, and again was happy to take requests from our guests. 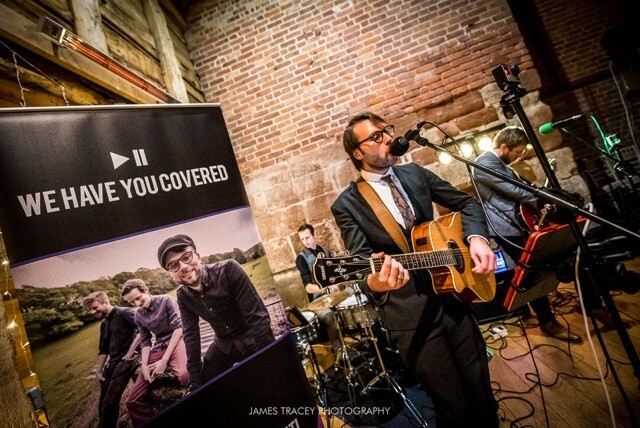 We're extremely grateful for the contribution made to our wedding by We Have You Covered, and do not hesitate in recommending them to those requiring a band for their event. Amazing band. Lovely guys. 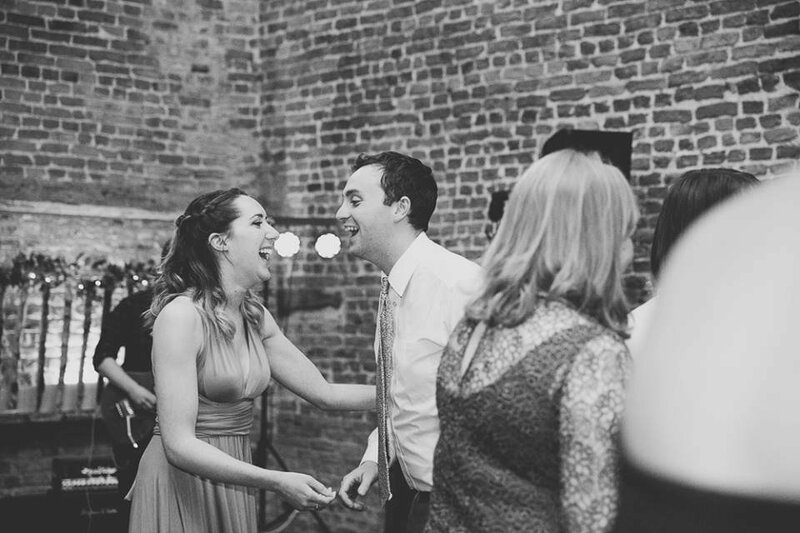 Contacted us before the wedding to find out what sort of music we liked and really got us excited about the day. Flexible when the meal ran over and set up quickly. Very responsive to the guests and played a great mix of songs so we never wanted to stop dancing. Also very helpful the next day when I had misplaced my iPad. Would highly recommend to anyone. These guys were AMAZING! Really made our special day one to remember, very professional and fitted in like they were part of the party - true gentlemen! They were really in tune with the crowd and knew just what to play at the right moments. From our first dance to a special request (The Pixies) they smashed it! A real highlight of the wedding, cheers guys! We Have You Covered were great from the moment we booked. Great communication with Adam prior to the event and throughout the night they checked to see if everyone was enjoying what was being played and if we had any requests or preferences. We had a very mixed age range and they played such a great variety of music and they kept everyone happy. They even became the backing band to allow a special performance from a member of staff who wanted to join in. They were friendly, arrived with plenty of time and kept everyone entertained throughout the night. We wouldn't hesitate to use them again. Thanks again for a great night. HUGE thanks to Adam and his band. The performance was brilliant. Really played for the crowd. everone of our guests thought they were brilliant too. Is there anything you can't play?!?! Great help and easy booking process through Warble. The leader singer, Adam, got in touch with us in plenty of time and was really friendly and accommodating. The band were excellent and their cover style is brilliant, getting people up and dancing with an impressively wide repertoire, highlighted by the end when they were taking requests. Thank you for a great evening, you will definitely be recommended. We Have You Covered were amazing! 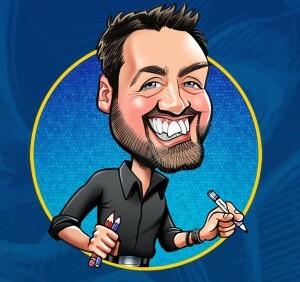 From excellent communication with Adam throughout the planning stage, to going the extra mile to make sure we had a mic for our speeches, to being able to take literally any request our guests could throw at them. The guys brought our dance floor to life. Extremely musical, wildly talented and very charming. Would certainly recommend them to anyone who needs an awesome band for their event. The band were amazing, so many of our guests told us so too. Professional and such lovely people, it felt like we had invited 3 more friends to our wedding. Massive thank you for learning our first dance song too, it could not have been better! 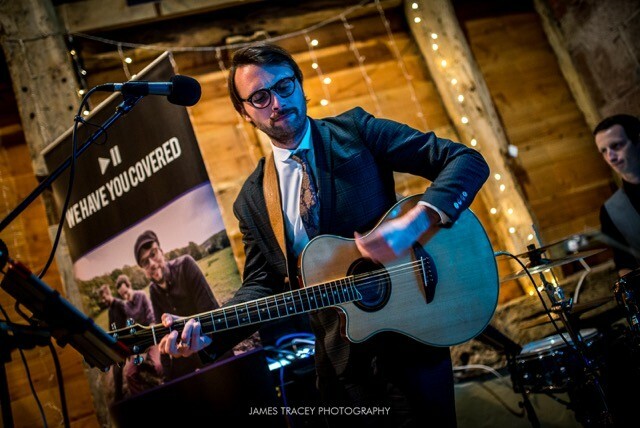 From the initial booking to the evening of our wedding Adam and the guys were brilliant. We and all our guests loved them and nothing was too much trouble for them and they accommodated all our and our venues needs. Can highly recommend We Have You Covered for any occasion. We couldn't recommend these guys enough! 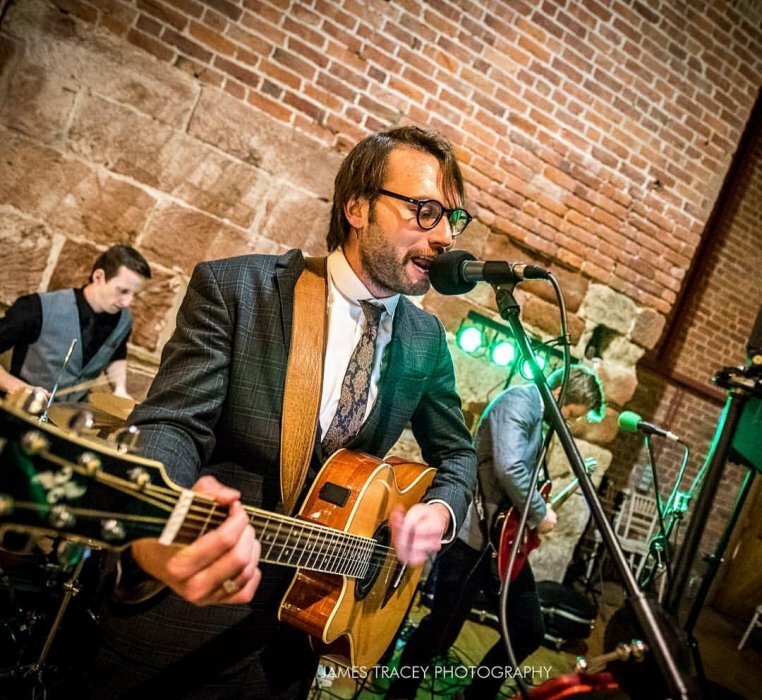 They played at our wedding last month and I couldn't count the amount of people who came up to me during the evening to say how great they were. Adam was so helpful in the run up to the wedding, we chatted for ages about the type of vibe we wanted for the evening and any special requests we had and the band delivered both of these things perfectly on the day. They even managed to pull off an amazing rendition of R Kelly - Ignition seconds after one of our guests shouted it out to them. Every song they played was just so great and they had all of our guests up and dancing and were even bullied into playing 5 bonus songs as our guests didn't want them to finish! 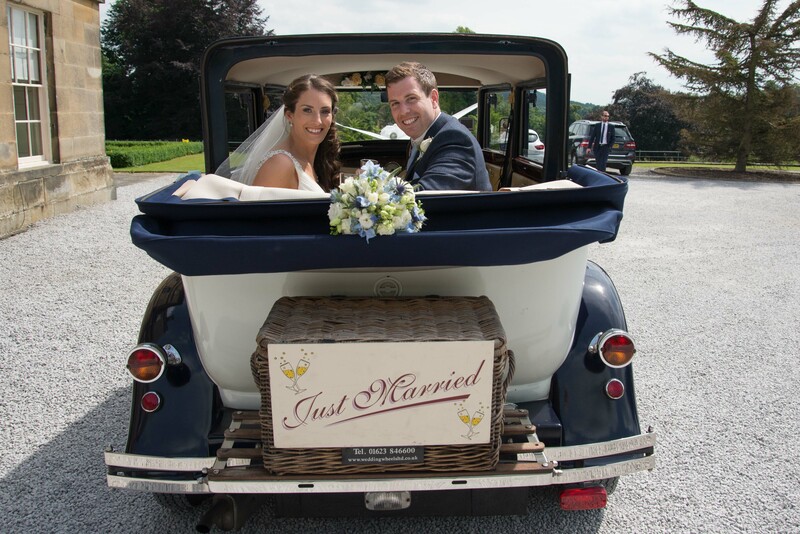 They helped to make our day so special and we would (and will) recommend them to anyone! We would've given them a 6 if we could! We dragged them halfway across the country down to the tip of Cornwall, but they turned up unphased and on time. Before their sets we asked for our own music to be played. This was completely hassle-free, using playlists we sent over via Spotify. When it came to playing, they were spot on - transitioning from laid-back, easy-listening numbers to floor-fillers. And once people were on the dance floor, they didn't leave. We were especially impressed by the way they handled song requests from the crowd - the majority of which were met! Our wedding guests were chanting "One more tune!" when they eventually had to finish their set, they were a hit! 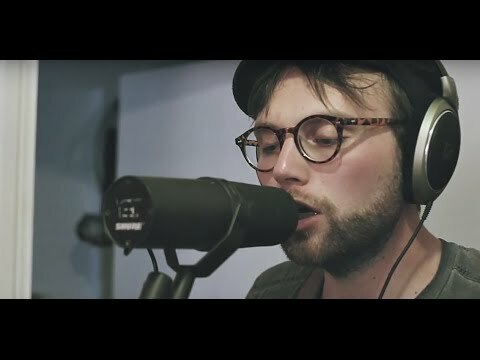 Brilliant band with a superb song list. Friendly guys. Highly recommended. We're so pleased we hired them for our wedding. I danced in my wedding dress till 1am! Brilliant set by the band. The guests loved them and we have had loads of comments since saying how good they were. Adam the singer, is excellent. He called us 3 weeks before the day and made us feel really calm about everything. They did what we wanted and took requests off guests on the night, which made the whole atmosphere special for us and the guests. Just couldn't have asked for more! Great night, really professional band, they are so friendly, adaptable and easy to deal with. They talked to us in advance on music choices but were still flexible on the night, really got involved with the party, taking requests and a fantastic sound. Lively, with the party in full swing very quickly. Highly recommended and friends thoughts so too. Thanks guys for a memorable evening for my 21st, hope we get an excuse to use you again... We have your number!! We cannot recommend We Have You Covered highly enough. I made quite a few requests and the band were so willing and open to have a go at everything I asked for - and they did an amazing job of every song! They even learnt a few country songs to surprise my husband with. The band made such an effort to make our day special and all of our guests commented on how fantastic they were. Thank you so much! Just brilliant all the way through - can't recommend highly enough. 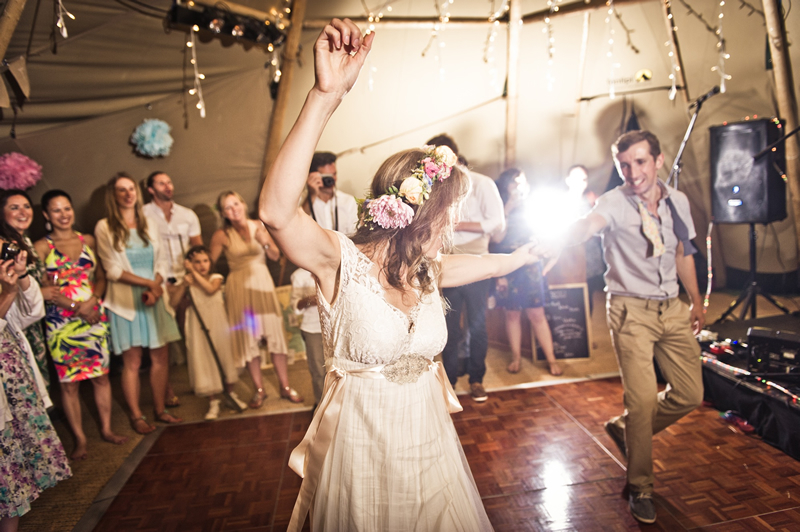 We had the most amazing time at our wedding and that is in part down to We Have You Covered. They really got the party started and you would never think they were an acoustic band. The atmosphere they helped us to create was incredible and if we were to do it all over again we would 100% use them again. 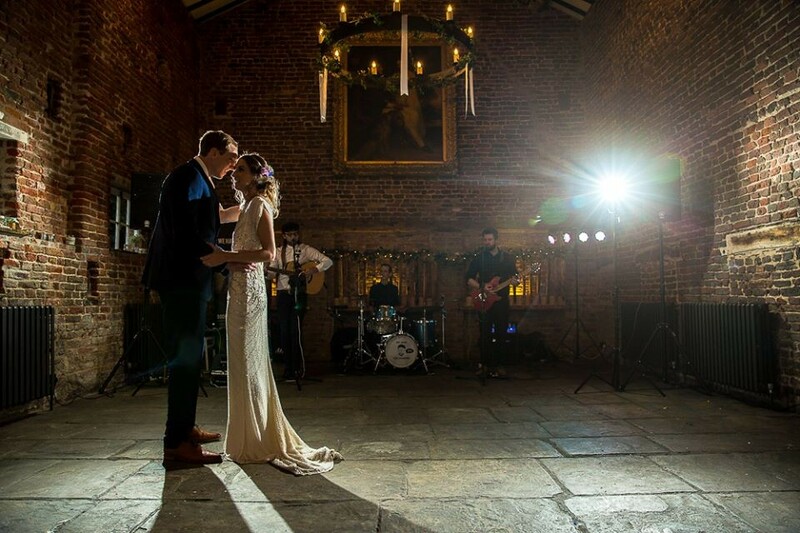 They enthusiastically accommodated our first dance song and a couple of other special requests and really helped to make our wedding day the most memorable day of our lives. You won't be disappointed. Very professional, leading upto our wedding and during the evening, excellent communication. Played amazing music. Band played well reacting to audience response. Arrived and ready to go on time, polite and dressed appropriately for the occasion. I would love to have given more than 5 stars, the band were absolutely terrific and can't speak highly enough of them. They got people up dancing right from the beginning of the evening and didn't let up, everyone I spoke to on the night about the band also raved about how good they were. 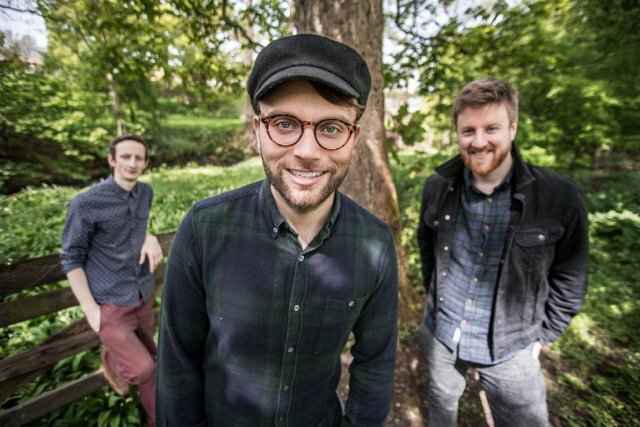 Adam was really helpful in the run up to the big day and all three of them just seemed to be really genuine nice guys and we felt privileged to have them play at our wedding and they have given us some great memories. I would definitely recommend We Have You Covered! Just wanted to say thank you for the amazing job the band did on our wedding day, they definitely made the evening and everyone said how great they were. It was great of them to learn two songs that mean a lot to us and during a drunken request even managed to do a Metallica and Five mash up!! I can't thank them enough for making our wedding so special and fun - they definitely had all of our guest's appreciation and even managed to get my uncle up and dancing which I never would have thought would happened! The band were so talented and just a brilliant addition to our day. A super band who will go out of their way to fulfill any requests you throw at them, no matter how random! They also have a very big playlist for you to choose from. 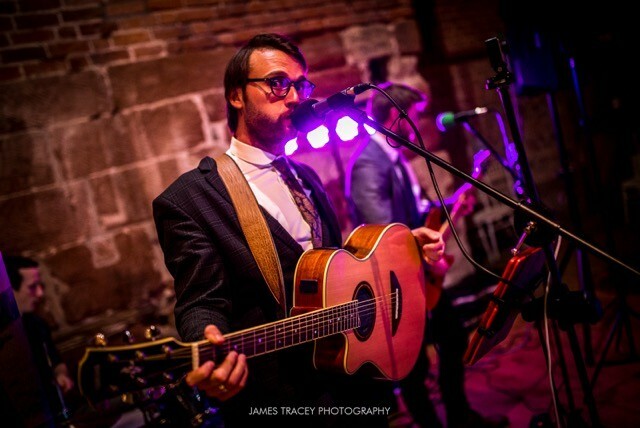 They went down a storm at our wedding and all the guests really enjoyed the sets they played at our wedding reception. Very positive feedback from everyone who was there. Thank you to the band, you made our wedding day that extra bit special! Hannah and Ash. They were absolutely fantastic, got everyone dancing and their range of music was brilliant. The guys were so friendly and approachable. If you are looking for a band to get the party going and people on the dance floor this is the band for you! 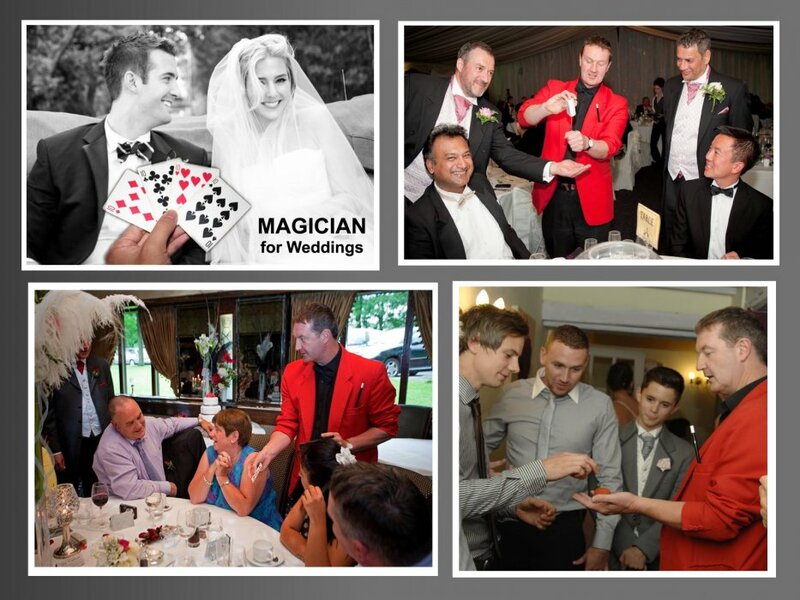 Absolutely fantastic, my husband and I would highly recommend these guys for your event! We Have You Covered performed at our end of year party and provided an excellent night's entertainment. The guys are talented musicians, nice people and consummate professionals. I very much recommend them. 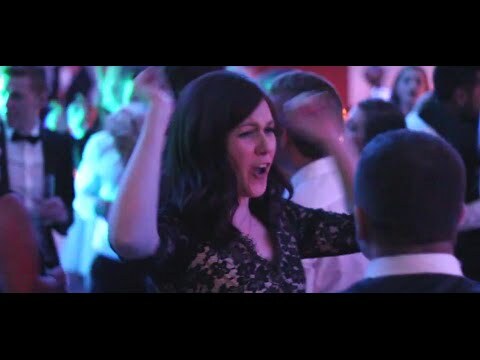 We Have You Covered were absolutely fabulous at our wedding, they got everyone up dancing and really made the evening special! I'm so glad we booked them! Adam and the boys were quite literally amazing! Professional, accommodating and genuinely lovely! We will never forget what the boys did for us! The dance floor was buzzing from start to finish - we could not have asked for more! I've passed details to EVERYONE who wanted them (there were a lot!) thank you, thank you, thank you!! I spent a long time researching bands, the style and the song list were very important to me. The booking process through Warble was great, with Ben helping me find the right band in a short amount of time. Speaking to Adam, the lead singer of the band about what I was looking for, gave me the confidence that it was going to be the right fit and I wasn't disappointed, in fact they were even better than I'd hoped. The area they had to play in was smaller than they expected but you wouldn't have known. Everyone was asking for more at the end, and so many people have asked where I found them. Would definitely recommend, and use again if I have another party! 1. 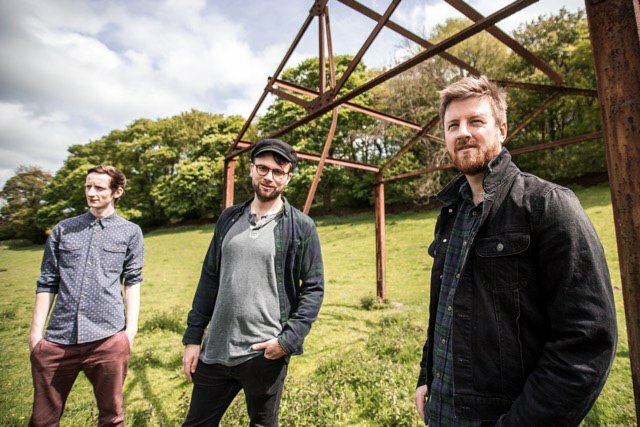 From the second we contacted Warble they were an absolute joy to work with. Every need was catered for and were prompt and always friendly! 2. The booking process was straightforward and dealt with our finance team efficiently. 3. The band were AMAZING! Could not of asked for a better live band. They covered every need we wanted (especially Rickie Martin haha). We have had many requests about the band so expect to be busy! Thank you again for all your help the band helped make our event an amazing success! I would like to thank Adam for his amazing performance at our red carpet event held at Casa Hotel. 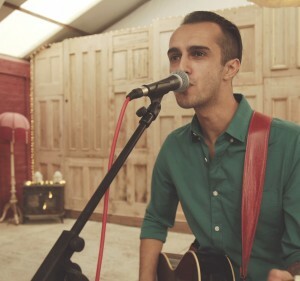 Adam is a very talented artist and it was an honour to have him perform at my event. Me and my guests thoroughly enjoyed his performance and would love to have him for my future events. Highly recommended!! This band played at our wedding. In the build up we had contact with them and they could not be more accommodating with our last min set list changes and specific requests. On the evening they were amazing a professional set up and there wasn't one person who didn't ask where we managed to find such an amazing band. I can not sing their praises enough (pardon the pun.) Highly recommend!!!!! Everybody had a fantastic night and mentioned how good you were. You played a variety of different songs from different years which satisfied everyone. Was a lovely way to get the party started. Would definitely recommend you guys and use you again in the future. We Have You Covered were brilliant. Not only were their versions of every song fantastic, but they were also great guys who made our evening that little bit more memorable. Every guest, during the night or in the days after, commented on how good they were. I would recommend these guys to anyone. The guys were fab. Everyone had a great time the song choices were great and everyone commented on how brilliant the band was. I highly recommend this band. You and your band were absolutely amazing, even better than what we had hoped for. You got so many compliments, so many of our guests have asked where we found your band and said they thought you were great. New World Trading Company (nationwide chain of high-end bars), including a function for the cast of Emmerdale. Temple Tree Beauty Salon in Chesterfield have used us for numerous functions and their grand opening. Performed at the Christmas party of international mining firm DMT in Yorkshire. The award-winning Casa Hotel in Chesterfield have selected We Have You Covered for numerous functions and private events. Brampton Manor Country Club and their sister venue The Fox and Goose (both Derbyshire) use We Have You Covered as a go-to act for anything from wedding receptions to Christenings. 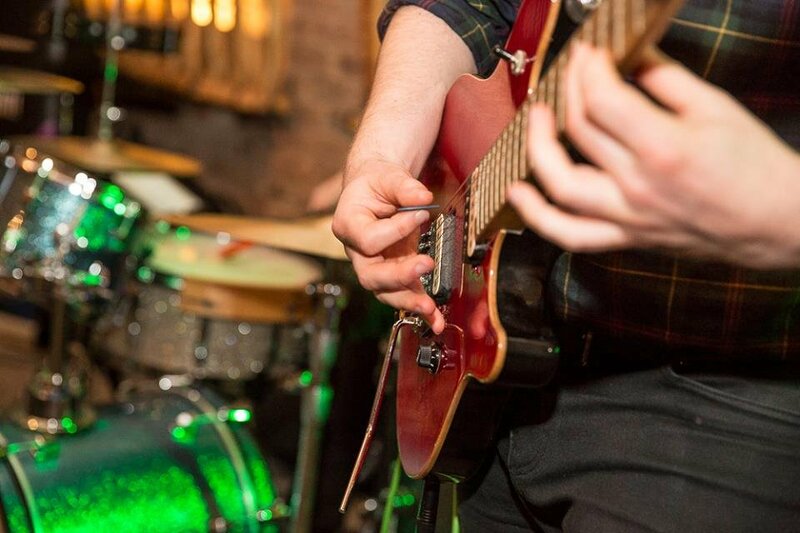 We believe that live music should be just that - live. We are all skilled, experienced performers and like to give an authentic sound to any occasion. 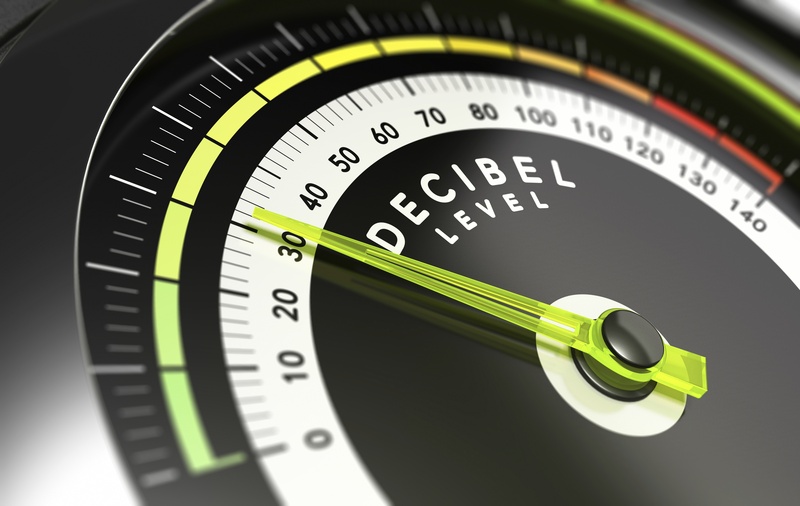 However, where necessary, high-quality backing tracks can be used for all performances. Of course! When booking your event, be sure to include any specific requests and we will be sure to include them. 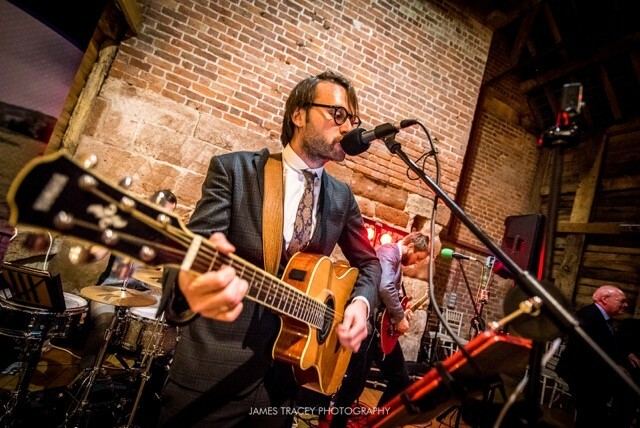 Our ability to improvise and provide for a wide-range of audiences is what sets us apart from other wedding bands. Whilst booking, ask for details about any upcoming shows. Some, the majority of which are solo performances, are open to the public. 2 x 45 - 60 min sets as standard. 3 x 40 min sets available as requested. DJ set / background music is also available. 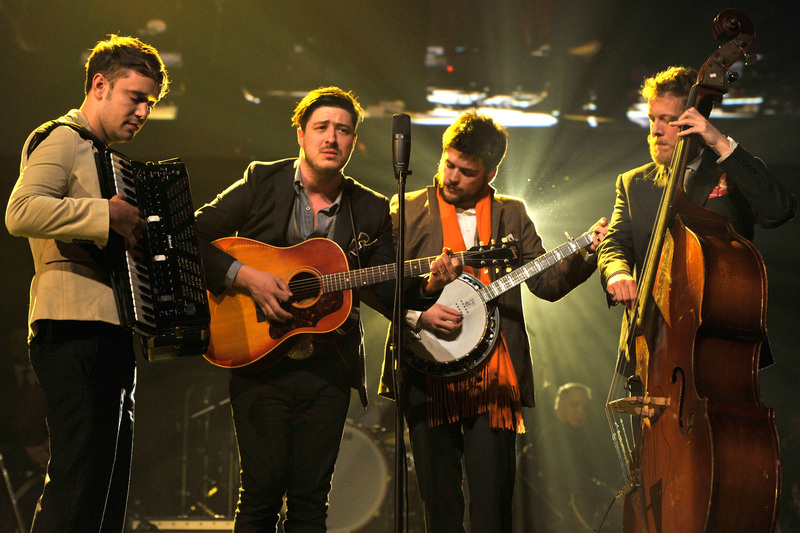 Looking for your very own 'Mumford & Sons' Band? Customers who have enquired for We Have You Covered have also been interested in the following wedding bands who are also available in Derbyshire and the East Midlands. For more information or further options, please call 0845 643 9384.